Memphis, Tennessee is full of things to do and see, especially if you like barbecue and music. 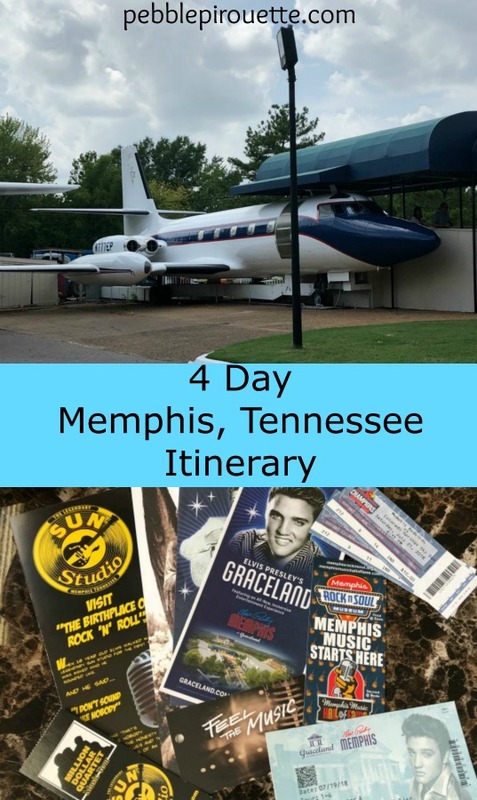 This Memphis 4 Day Itinerary will help you to determine the things you want to do and see and the order to do them. I lived in Memphis for almost a year while my husband built a building. I was happy to go there because I figured it’s in the south, so it has to be warm during the winter. Boy was I wrong. There were record breaking cold temperatures and I was not happy. There were full weeks where it was colder in Memphis than it was in both Alaska and Idaho. I tell you this so that if you go to Memphis in the winter, you will check ahead on the weather. Over the time I was there, I didn’t see and do everything, but I had friends who did things they recommended. Most of the things in this itinerary are things I did, but not all. When walking around downtown, look for signs like this to guide you. This one was right outside my apartment. Start your day at the National Civil Rights Museum in downtown Memphis. The history covered in this museum starts during slavery and continues through the 20th Century. 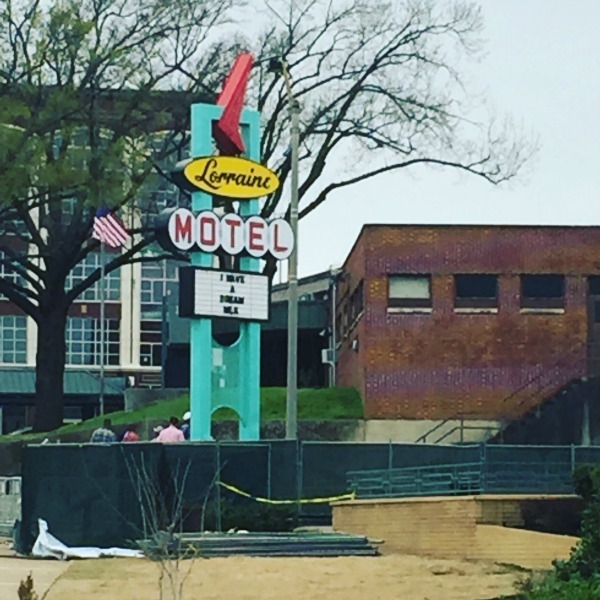 It is housed in the Lorraine Motel, which is where Martin Luther King Jr. was murdered in 1968. There was actually a big event marking the 50th anniversary of his death in April. When you’re finished at the museum, you will probably be hungry. Just behind the museum you will find a delicious barbecue restaurant called Central BBQ. Do yourself a favor and walk over for great meal. After lunch, take a mural tour of downtown. There are so many murals and they are all excellent. Most of them highlight the history of Memphis. You can see the locations of the murals on this post titled Memphis Street Art. It’s quite interesting. 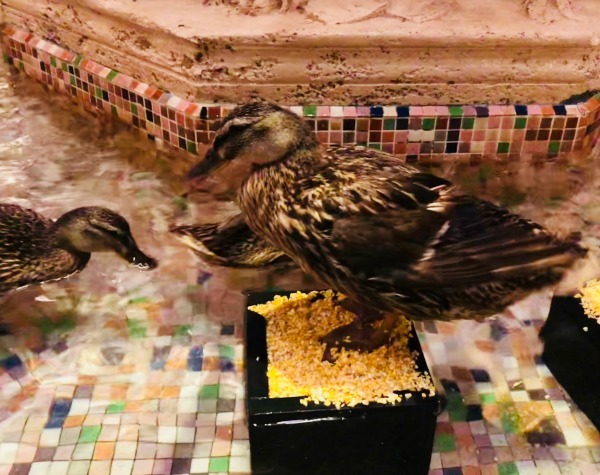 While you’re walking around, stop into the Peabody Hotel and see the ducks in the lobby. They are quite pampered. If you get there at either 11:00 am or 5:00 pm, you can see them being lead by their caretaker, either in or out of the lobby. If you need a snack, I highly recommend Cupcake Cuties on Court Ave. They are the best cupcakes and they are made to order while you wait. It only takes a few minutes. I wanted to go to this so bad, but wasn’t able to. We’re going back to Memphis for a day or two and I think I’m going to fit this in. Slave Haven details the history of the Underground Railroad. That is so fascinating to me since I read the book The Narrative of Fredrick Douglas, the life of an American Slave. This evening, head to Beale Street and do a little club hopping and listen to the music of Memphis. There are plenty of places to eat on Beale Street. There are loads of police on the street in the evening, so it’s a safe place. Do mind your wallet though, just in case. Botanical gardens are a really great place to visit to reset from all the tourist activities and this one has received 5 stars. I recommend arriving as close to 9:00 as you can and spending 3 hours exploring and then eating at the onsite restaurant Fratessli Café. I haven’t eaten there, but I’ve heard it’s really great. Lunch is only served from 11:00-2:30, so keep that in mind. 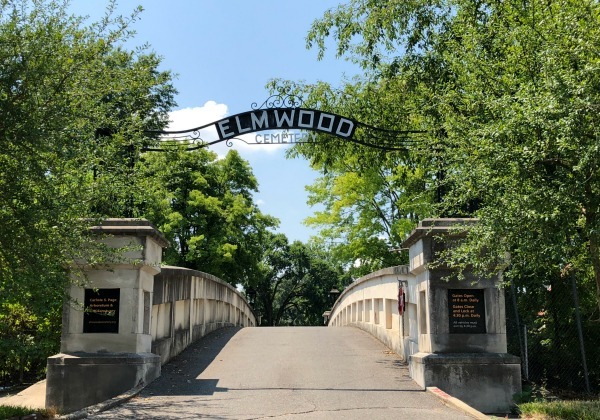 This will sound weird, but after lunch, head to Elmwood Cemetery and explore the oldest Victorian Garden Cemetery in Memphis. You can take either a walking or driving tour through the cemetery and hear some really interesting stories about the people buried there. Stop into the office on your way in for a CD and map. My mom and I spent some time at Elmwood Cemetery and really enjoyed learning about Memphis’s history. You can read about my visit and get a taste of the cemetery here. 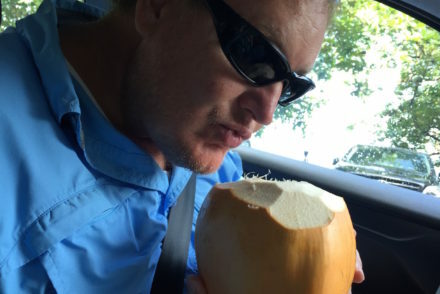 Are you hungry from your touring? For dinner, try Huey’s for a really great burger or sandwich. They have several locations, so find one close to your hotel. My favorite thing on their menu is actually the onion straws. So good. They also have live music some nights. This was a fun place to visit. It’s full of memorabilia and information from the music scene in Memphis. See costumes and instruments from the greats like Elvis and B.B.King. You can read more information on this post. 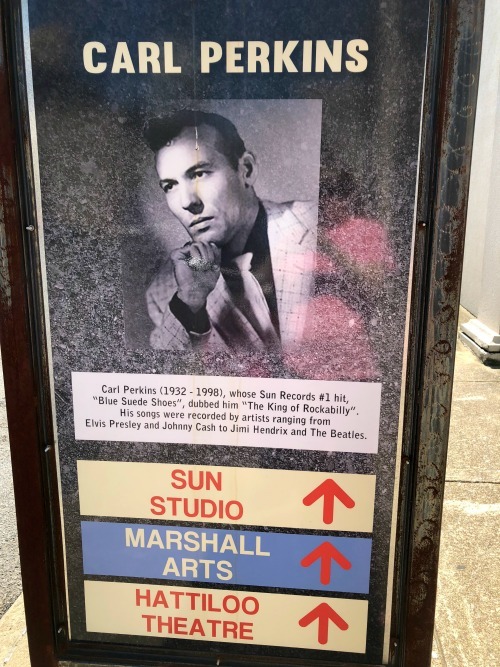 I really loved Sun Studio. I got to visit with my dad, which was a treat in itself. It was another very interesting place to visit and learn about the start of Rock n Roll. 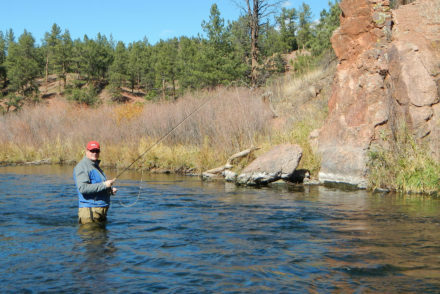 The guide had a lot of insight and great information. You can read more detailed information on this post. When you’re finished at Sun Studio, you can take the free shuttle bus to Graceland. Graceland is a pretty huge place, so you will be able to spend quite a lot of time there. Before you start your tour, eat at one of the restaurants onsite. There is a good selection of restaurants, sure to please everyone. Graceland was not what I expected, but it was fun. Some things were over the top and others were quite a lot more normal than I thought they would be. 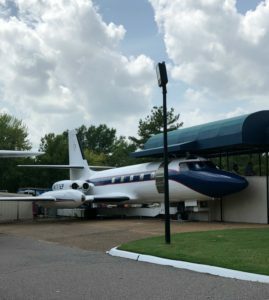 In addition to the mansion, you can tour Elvis’s airplanes, walk through the car museum and even spend the night in the hotel. I think if you really wanted, you could spend a few days at Graceland. You can read about my visit here. If you’re driving, when you’re finished at Graceland, head south to Horn Lake, Mississippi and have dinner at Memphis BBQ Co. Yes, it’s another barbecue restaurant, but it’s so good. I really loved the barbecue in Memphis. Read about four places we tried here. 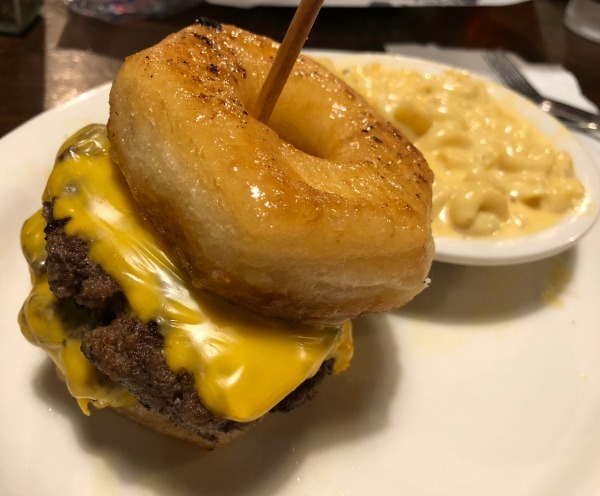 If you’re brave, try the donut burger. It sounds weird, but it’s so good. This is one of the places recommended by friends with children. I have children, but they are all grown, so I will defer to my friends. They all said it is a really great zoo and that their children loved it. The Memphis Zoo is one of four zoos in the United States with a Giant Panda. 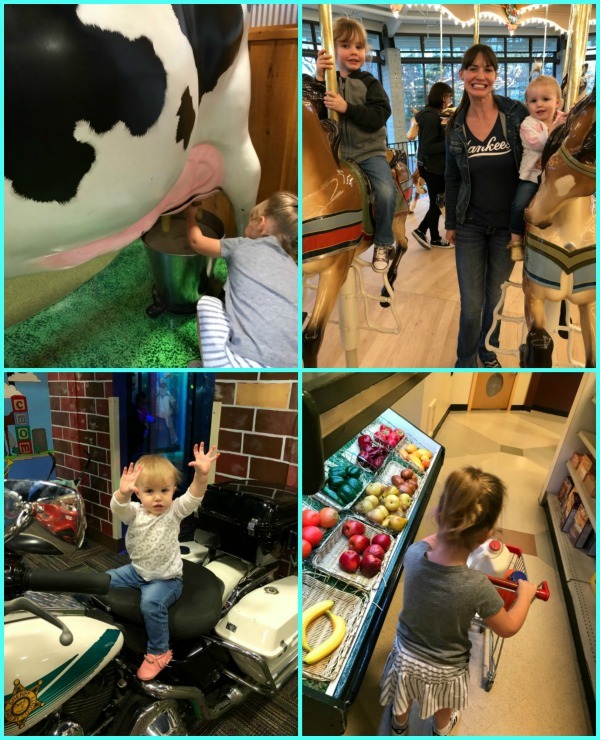 I also haven’t been to the Children’s Museum, but my friends take their kids there weekly and everyone loves it so much. There are a lot of hands on things for the kids to explore and learn. I’ve taken my kids to childern’s museums when they were younger and they always loved them. I’ve only eaten at the downtown location of Aldo’s, but loved it so much that my daughter and I went back almost weekly for lunch. 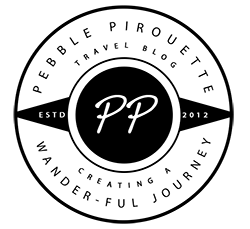 They have really great pizza and appetizers. Kids love pizza, so it’s a great way to end the day. 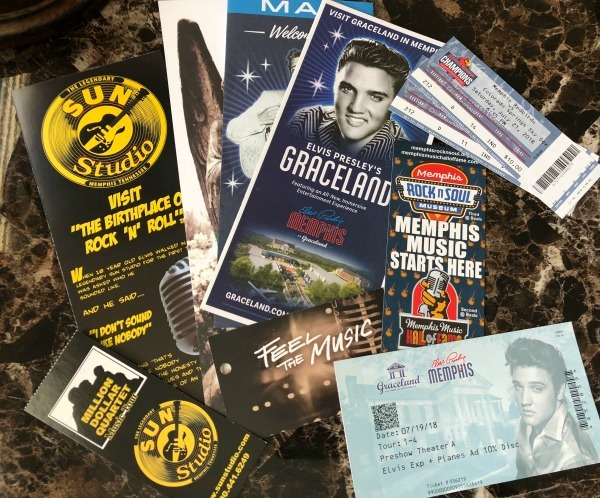 There are other things to do in Memphis, obviously, but there are also seasonal or scheduled things to do to add to your Memphis experience. 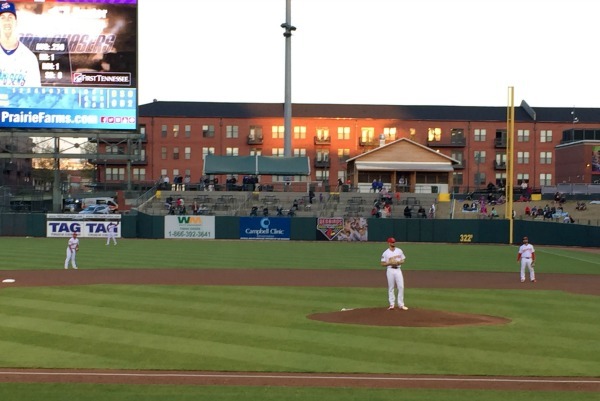 If you’re in Memphis April-September, take in a baseball game at Auto Zone Park. The Memphis Redbirds are league champions for 2017 and 2018, so it’s good baseball. The park is very nice, the food is good and the prices are not too bad. Memphis has a beautiful theater in the Orpheum Theater and they have various types of shows there often. 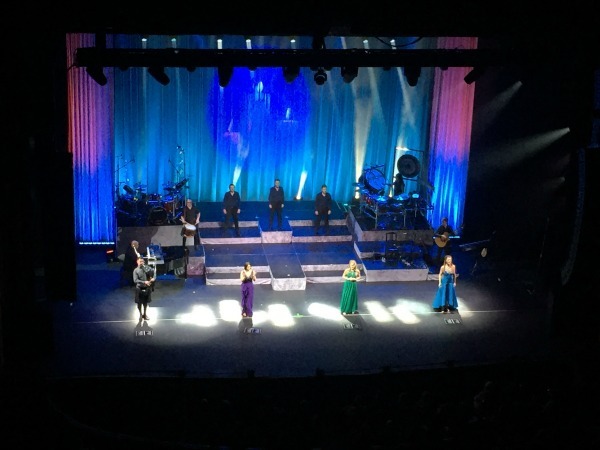 We saw the Celtic Women at the Orpheum and it was such a great show. See if there is something you want to squeeze into your Memphis 4 day itinerary. The FedEx Forum has concerts, basketball games and lots of other events. We saw Def Leppard there and it didn’t look like there were any bad seats. It was clean and the staff was friendly. If you have some time somewhere, head to the Bass Pro Shop Pyramid and look around. They have an aquarium, bowling, restaurant, hotel and observation deck. It’s a pretty neat place. 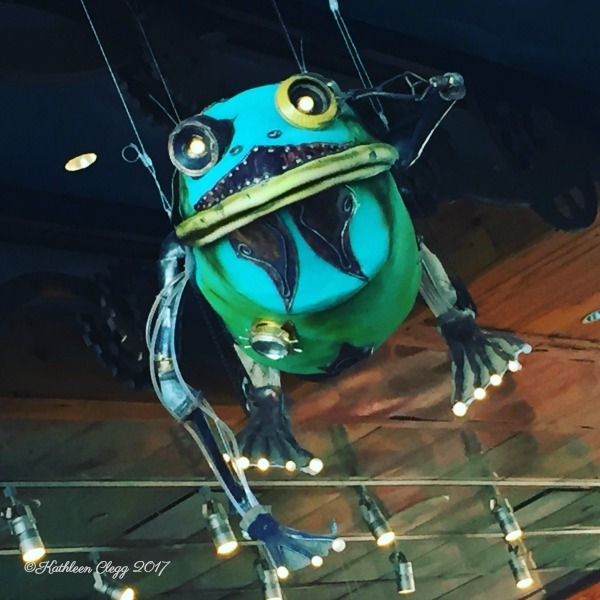 When you ride the elevator up to the observation deck, there is a restaurant with a bunch of metal sculptures hanging from the ceiling. They are so cool! I hope this Memphis 4 day itinerary will be of great use to you on your visit. You will be busy for sure, but you will get a good feel of Memphis and have a lot of fun doing it. Have you been to Memphis before? What were some of your favorite things you did and saw? I’d love to know. Thank you. I hope that you get to go and that you enjoy it. It is an interesting place. I learned a lot. I love how this is set up to theme days! I also love how much history Memphis has. What a cool city!! I’d love to check out the music museum. Thanks for sharing this awesome itinerary! Thanks so much Mona. It really has a lot to discover and a lot to teach. Very cool! I like how each day on your itinerary has a different theme! i haven’t really traveled the US… except for Hawaii and Alaska. One day we will do a big mainland trip… one day…. I hope you are able to take a road trip through the US one day. Hawaii and Alaska are great places to go though. Love them both. Thanks so much for this 4-day itinerary! We are actually visiting Memphis for 4 days next Spring, so it is very useful! Graceland and Sun studios are on the list, but I’ll add the Peabody ducks too! And thanks for all the foodie tips too – can’t wait to try the BBQ! Excellent! I’m glad my post will help you. There really are so many things to do and see and of course, eat. The food is amazing. If you’re downtown, be sure to hit up Cupcake Cutie. So amazing. Maybe the best cupcakes I’ve ever had. Oh no. We missed so many things since we only went to the Sun Studios and Graceland! Didn’t know there is so much more to Memphis! Oh yes, there is loads to see and do in Memphis. I hope you get back and can see more. You really cannot go wrong when it comes to barbeque in Memphis, it’s just such a staple! I haven’t been to Memphis in a few years now, but I can’t wait to go back! Such a nice city to go out and listen to some live music at night. The barbecue in Memphis is my favorite for sure. I’ve tried it lots of places too. Love it! There are some great places for kids for sure. Sun Studio was so interesting. I’m so glad I got to go. Love the rich history in Memphis. The Lorraine Hotel and learning more about the Underground Railroad would be my two top activities to hit. You give a nice range of activities to explore. I’m glad to know there is more to Memphis than Graceland. Great article. Thank you. Yes, there is so much more than just Graceland. I was happy to find this out because we were there so long. 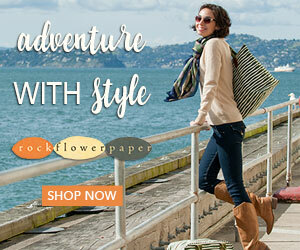 This is a fantastic itinerary, with lots of cool places to visit! I’d love to visit Sun Studio 😁 And Memphis Zoo. Because – Giant Panda ofcourse 😉😍 Haha! Aren’t Giant Pandas so beautiful and fun to watch?! Yes, it can be customized for sure. I loved all the places we went. Not all the restaurants we ate at, but all the music and historical places. I’m glad we had a long time to see it all. I’d really like to visit Graceland. I’m so fascinated with the history of Elvis and his life. And those donut burgers? Wow, what can I say — I guess you just have to try them! Elvis was an interesting person for sure. He really came from nothing. I wonder how things would have turned out for him had he not died so young. 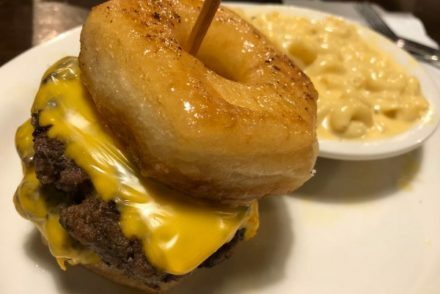 Do try the donut burger. So good. While I have been to the US, I have been to Memphis. However, reading your detailed 4-day itinerary I am really motivated to check out the area when I am next traveling there. I would definitely like to visit Graceland, Sun studios, Peabody ducks and Music Hall of Fame. I’m so glad this 4 day itinerary will help you plan your next visit. Memphis really has some wonderful things to see. Wow I always thought Memphis would be warm in the winter too. Even if it got chilly what a great place to base yourself for 12 months while hubby was working. What a great 4 day itinerary, it covers BBQ that would make me happy all 4 days. But omg ducks in the lobby of the Peabody Hotel! Bass pro shop sounds like an unexpected place that I would want to visit. But visit I really want to do. Sounds seriously awesome. Memphis is full of things to do for sure. And the food is so great. 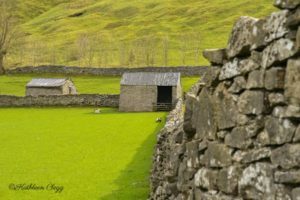 I hope this 4 day itinerary will come in handy for you.